WE CAN do hard things. I know it sounds crazy. And I’m totally stealing that phrase from a Massachusetts parish minister, the Rev. 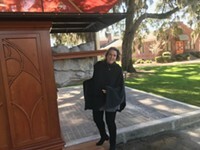 Elea Kemler. But we can. Do hard things. The idea comes to mind when I think about the effort to rename Savannah’s Talmadge Bridge, a beautiful piece of engineering whose moniker honors racial injustice. 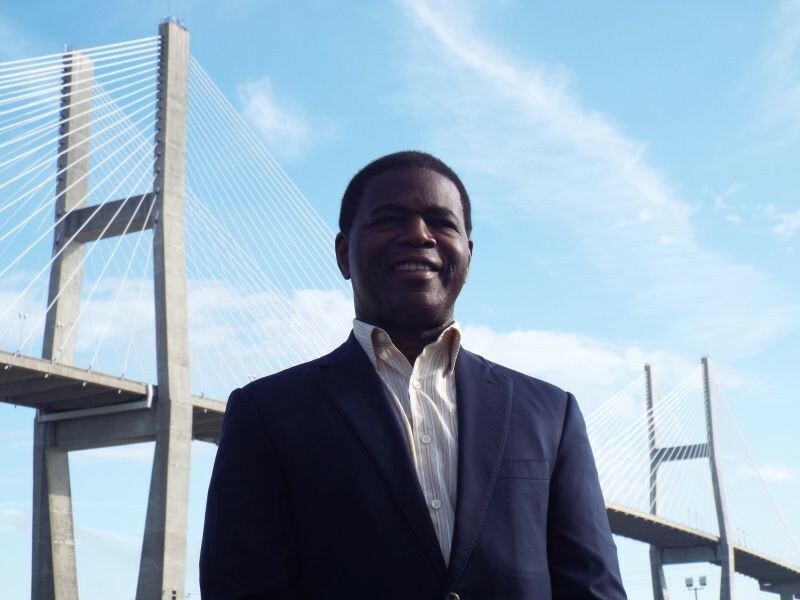 At their meeting last week Savannah mayor Eddie DeLoach and the rest of City Council signaled their desire to change the bridge’s name—a matter solely in the hands of state officials. And on Sept. 5, the Span the Gap rename organization and the Beach Institute will co-host a forum on the bridge’s name, moderated by former mayor Otis Johnson. What the name represents, however, where that leads, and even just “bringing it up”—let alone challenging it—those are the hard things that brought Christopher back home. Christopher knows about poverty. He grew up in Hitch Village. Nurtured by family, neighbors and teachers, he rose to be valedictorian at Savannah State University. Then came a career in Army Intelligence, then degrees from Harvard Law School, where he knew the Obamas (Michelle: “friendly,” Barack: “laid-back”), and Wharton School of Business. He became a lawyer and an investment banker in New York, dealing in mergers and acquisitions. High flying. Then after 22 years away from Savannah, the city started nagging at him. “The idea of coming home and contributing, giving something back, was just compelling,” he says. “So that’s what I chose to do.” He didn’t have to return! But in his time away, he saw Savannah change in some ways. Streets, facades, fancy restaurants. Easy things! But in other ways, like poverty and crime, it’s the same story. 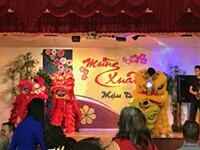 Christopher dares to connect our city’s dysfunctions—big ones, education and economics—with its “mores,” invisible holdovers from the past. Hard things. “There’s been a path chosen for economic development that means that we’re not likely to get fundamental change,” he says of our low-wage, tourism-based jobs model. “Once you make that choice, it has implications for how you manage the rest of the city,” he says, noting even people tasked with reducing poverty and crime buy into the system! So why isn’t Christopher, two years since returning from New York, yet on any number of boards or commissions where someone of his background could push for change? 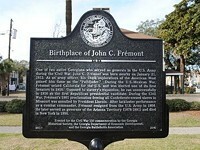 Just about the only mention of Savannah native John C. Frémont in his hometown is a Georgia Historical Society marker in Yamacraw Village near where he was born in 1813. 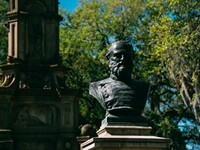 But otherwise, virtually nothing in Savannah about this native son who was a pivotal figure in American history. Why? No good deed goes unpunished, and City Council's wisdom is likely to enrage partisans on both ends of the spectrum.